For years we loved settling down in front of the TV for the Christmas special of Only Fools and Horses. 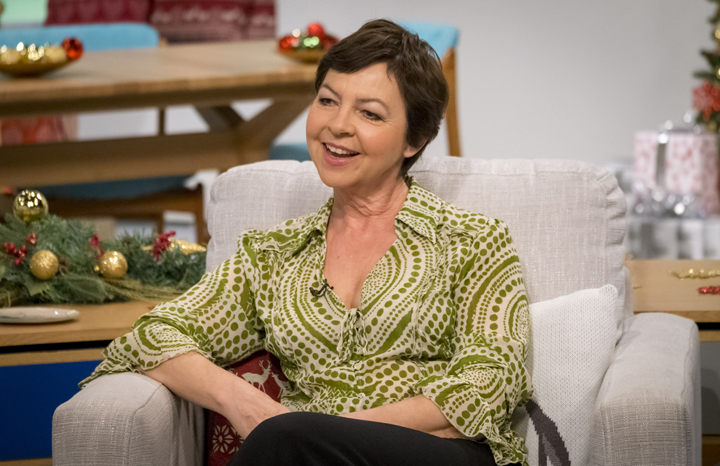 But although there might be a repeat or two this festive season, actress Tessa Peake-Jones – who played Del Boy’s long-suffering wife Raquel – says there can’t ever be a new episode. She’s adamant John Sullivan, the series’ brilliant writer who sadly passed away in 2011, cannot possibly be replaced. “He was one of the unsung heroes of television writing, and quite amazing,” remembers Tessa. But that’s not to say she wouldn’t have jumped at the chance to work with the Only Fools cast again. “John was planning another Christmas special before he died,” she continues. “Everyone would have leapt at the opportunity because we all had such brilliant fun. Speaking of happy memories, have we lost the sparkle of classic comedies such as Dad’s Army and Porridge forever? The charm of Only Fools doesn’t seem to have had many challengers to its crown in recent years. “I don’t watch a lot of current comedy,” says Tessa. “It’s too focused on immediate gags. The comedies that have endured are all character based, with very real human beings at the centre. Captain Mainwaring, for example, in Dad’s Army; Steptoe, Del and Rodney…they’re real people who get put in funny situations. And Tessa’s life was shaped by memorable, formidable women. “I had rather an unconventional childhood,” she explains. “It was my mother Mary and godmother Renie who brought me up. They were very different people. Mum gave me confidence and belief in myself, whereas Auntie Renie was the stable, secure one who never floundered. She didn’t get excited, but was very solid.” She pauses. Mary and Renie spurred Tessa on to become one of Britain’s best-known actresses, most recently in Fifties’ murder mystery series, Grantchester, where she plays housekeeper Mrs Maguire. Tessa stars in Bonobo, at selected cinemas now. Grantchester is also out now on DVD (©2014 Universal Studios. All Rights Reserved, RRP £19.99). There's more star chat in every issue of Yours magazine, out every fortnight on a Tuesday.